Notes 3 cubic feet of storage. Weighs 22 lbs. Features a limited lifetime warranty. 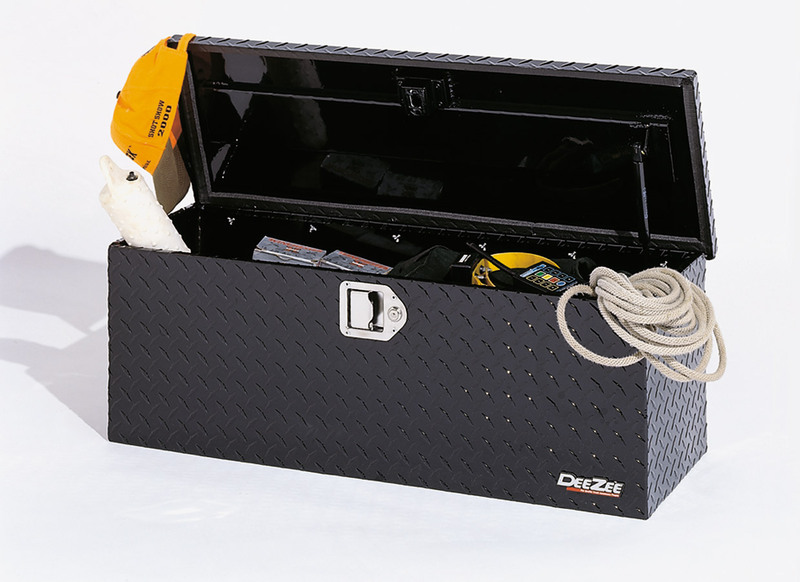 DeeZee Black Tread Utility Chest is designed to provide excellent storage space. It is made from brite-tread aluminum which does not rust ensuring extreme durability. This storage chest includes gas shock which makes it easy to open and close. It is lockable providing additional security.